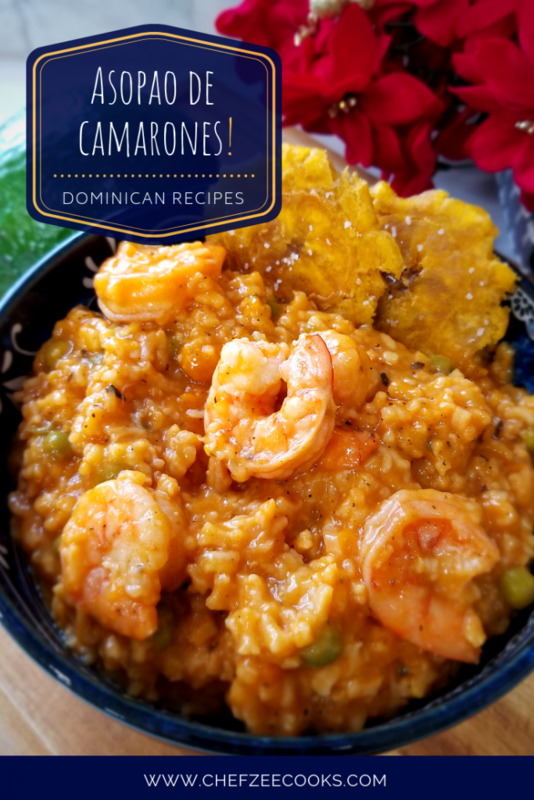 Asopao de Camarones is a comfort food dish that reigns supreme especially in the winter time. It’s hearty and full of flavors that melt in your mouth. This is also a ridiculously economical dish that will feed a village! In fact, one cup of rice will feed about 6 to 8 people. My favorite part, is that you can always add more water and create more soup instantly. Keep in mind that there’s a million and one ways to making this dish. Today, I’m sharing my version. Happy eating y buen provecho! Season shrimp with adobo, black pepper, and sour orange or limes. Set aside. Dice onions, peppers, and garlic. Set aside. Add black pepper, orégano, chicken bouillon cube, sazón and tomato paste. Mix until it creates a paste. When the rice & water dry up, add hot shrimp stock & stir. Be sure to turn down the flame of the asopao so that you don’t burn the rice. When making asopao, always make sure to add hot or boiling water. If you're not a fan of shrimp stock or if you're using shrimp that came without the shells, simply use plain boiling water. If you're using shrimp shells, boil water, vinegar, and cinnamon sticks in a separate pot to kill shrimp/seafood smell in kitchen. If you want to stretch out soup to feed more people, simply add more water. 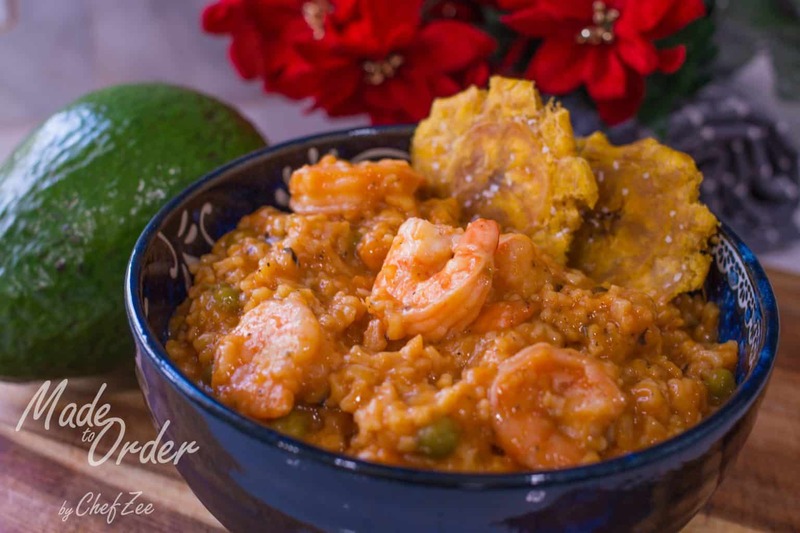 Enjoy asopao with tostones, avocado, lime juice, and hot sauce. Buen provecho! Support the dream. Help the good food keep coming. @2018 - Chef Zee Cooks, LLC. All Rights Reserved.